The best part of being a furniture craftswoman from my home here in Los Angeles, is the opportunity to create beauty with eco-friendly materials. A chair is not just a chair. It can be a healthy alternative that fits with your modern lifestyle. This is the other half of a mini series reviewing the green restoration process. We now delve into the world of cushioning and fabric, and explore the many layers not usually seen underneath the final outer fabric. Just as restoring the frame has multiple steps, see ‘The Chair Restoration Process: Part One, the Frame’, upholstery also has many steps that together create a final product. Each material used is in itself a step since one of the principles of upholstery is working in layers of tension to create strength and shape. We continue in the spirit of ‘quality over quantity’ and happily share the craft that makes green, custom upholstery an art. Preserving your family's furniture whether you're in downtown Los Angeles, placid Pasadena, or hip Silverlake is a deeply personal decision that links the past with the future. Furniture does more than provide a function. Furniture should be experienced as a comforting way to establish a home as a respite from work and urban lifestyling. A treasured item, ranging from Granny's TV seat to a secretly sublime thrift store find, can be restored to full health. My earliest memory of making something was some time before I was three years old. My parents divorced when I was three and I moved from that house, so I was definitely three or younger. I remember sitting on the kitchen counter, somewhere between concentration and curiosity, wrapping a ball of tissue with transparent tape. 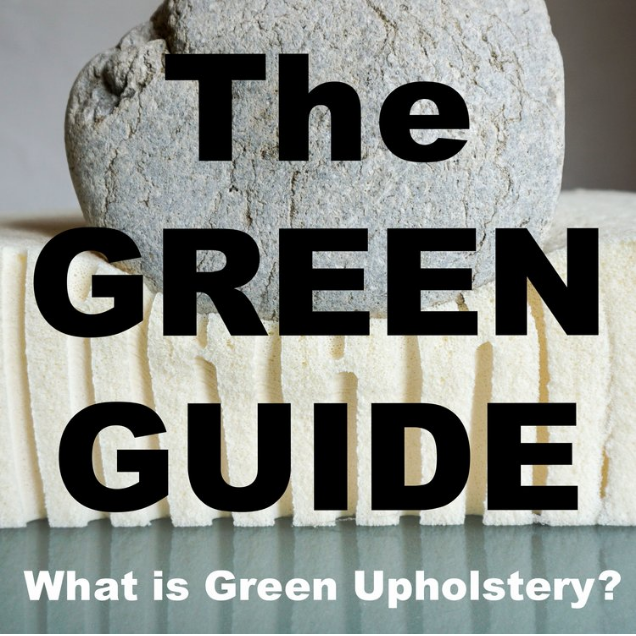 I believe in the power of green upholstery, non-petroleum materials that are non-toxic and sustainable, but the use of synthetics are sometimes unavoidable. 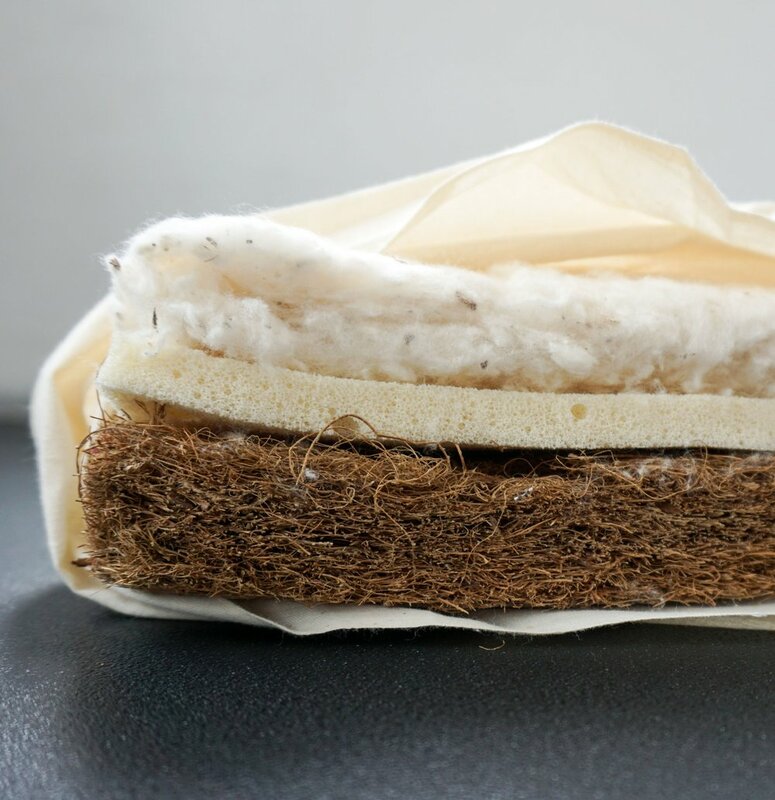 Sourcing the materials I currently offer, especially the natural rubber latex and coconut coir, took much research and time to find. I am happy to report that the only synthetics I use are sewing thread and invisible zippers; the strength of synthetic nylon is currently irrefutable. The last, and only wild card between natural and synthetic, is the decision of which outer fabric to choose. Something has been growing in me these last few months. It’s the urge to be in nature, especially old growth forests and moving water. This is an unexpected and new feeling considering I’ve never been the super outdoorsy type. Although I grew up in Santa Cruz County, a town known for it’s old redwood forests and outdoor sports, I preferred relaxing at the mall.